30 years later ... the home-technology channel isn't really providing "home automation." As usual, picking our Top 5 Home Technology Trends & Opportunities for 2019 was a tough task. When reaching out to the CE Pro community, it seemed everyone’s first response was: AI. It is true. AI, predictive analytics, machine learning … it’s all happening now and will become even better and more pervasive in the coming year. We have voice assistants that get smarter with every word spoken. Thermostats that learn patterns in the home and set temperatures accordingly. Automation systems that know who’s coming and going based on geolocation and beacons. Cameras, sensors and networking devices that learn behaviors in the home and alert owners to anomalies. Smart doorbells that learn familiar faces and recognize strangers. Smoke detectors that can predict fire before it happens. 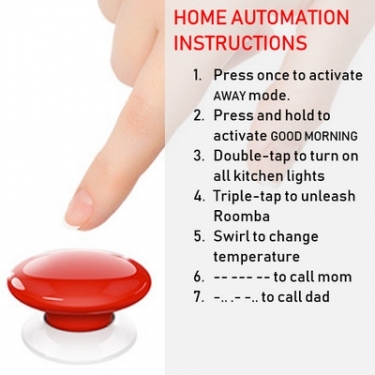 Welcome to home automation. Welcome to the smart home. These are terms our industry has used for at least three decades, but as naysayers often point out, we haven’t delivered automated homes. We have delivered home-automation scenes that activate at the press of a button, a time of day, or a tripped sensor – all set manually by the programmer or user. Three decades after the custom-installation community invented “home automation,” we are still automating homes the old-fashioned way. It’s disappointing to think that we as an industry had such a big head start, and we let the rest of the world pass us by. Yes, AI and all its iterations will have a major impact on the smart-home landscape in 2019 and beyond, but it is a trend and opportunity that unfortunately doesn’t seem to apply to our channel, other than to make our offerings seem antiquated by comparison. It pains me to contemplate the sluggish rate of innovation in our channel – the huge lead we have squandered. It’s not for lack of technological wherewithal. We have plenty of that. So what is it then? Lack of vision? Complacency? Legacy systems – technologies, corporate structure, hiring practices, distribution channels, etc. – that bog us down? Let’s think of all the opportunities besides AI that we’ve squandered over the years, and figure out what got us here – shamed by start-ups and the mass market – and how we can regain our rightful place as leaders of the smart-home movement. User-configurable control systems. For the past two decades, I’ve watched home-automation startups create awesome, inexpensive software that let users configure their own scenes, make changes to existing programs, and even swap out devices without having to call in a pro. It’s only been the past two or three years that we’ve given end users the opportunity to customize their own systems – systems that they paid thousands of dollars for. Once they realize they have to call a pro and pay $125 per hour for every little change, they unplug their systems and head to Best Buy. I think our industry suffered big-time for this lapse. Video doorbells. What a huge bummer that the video/intercom stations sold through this channel for decades got trumped by user-friendly, app-driven products like Ring. Sonos. Our industry didn’t even try to compete against Sonos until about five years ago, when it was already too late. What took so long? Did no one believe that wireless, easy-to-use whole-house audio systems would be a “thing”? Thermostats. Doesn’t it make you cringe that Nest came out of nowhere to be the “first smart thermostat” on the market? How did it get there? Not for its smarts, to be sure, but because it looked cool. Except for some of our pricy touchscreens and keypads, our industry has for the most part sold ugly things. Online prowess. Not until SnapAV came along in 2005 did we start to see any kind of progress in e-commerce in our channel. It took another five or ten years for other vendors to catch on. It took even longer for integrators to grasp that customers want on-demand, low-touch service and frictionless purchasing. The way people shop – even for high-end products and custom services – is changing. Let’s not pretend everyone wants to visit our showrooms, and spend time with our keen salespeople and customer-service staff. I could go on and on. I hope we can find some agility, shed our aversion to single-purpose solutions, embrace the on-demand economy, empower the end user, and generally be the smartest folks in the industry. Failing that, let’s do a better job (technology- and business-wise) of weaving today’s surprisingly good mass-market solutions into the systems we customize for clients. UPDATE: Just not quite sure if I agree with my own opinion.